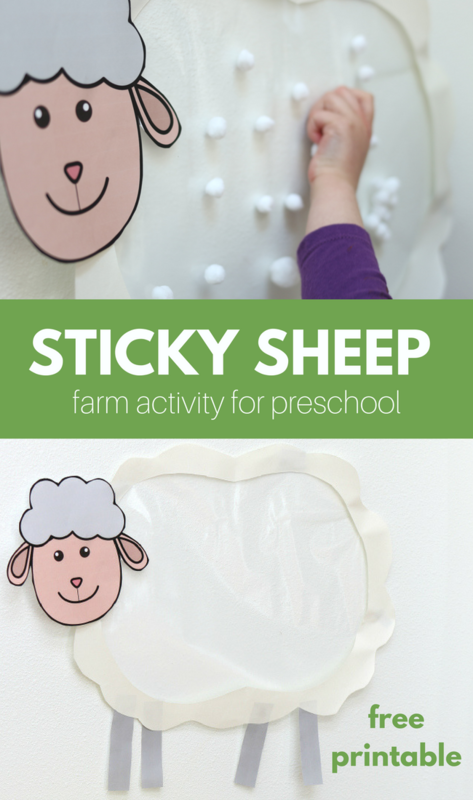 I have been doing this sticky sheep activity for a long time, and last year it went a little sideways. I ended up making a sheep that looked more like Yoda than Mary’s little lamb. Look at it here. 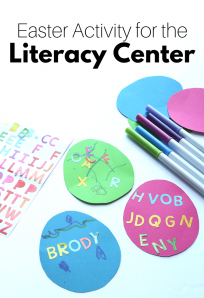 Even though my point about things not having to be perfect stands I still wanted to make this a little more visually enticing for my students this year and I am sharing it with you too! 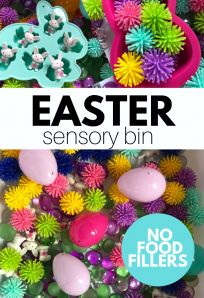 The learning benefits of this activity are awesome, not only are children exploring different textures but the activity also naturally works on fine motor development as well as invites counting. “Look, Ms. Allie, I put six on!” trust me, I’ll hear something just like that this week as this sheep hands in my classroom. 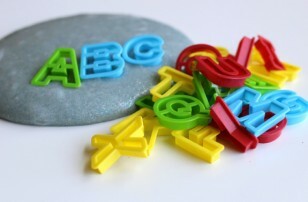 For more activities like this, check out our printable thematic units. 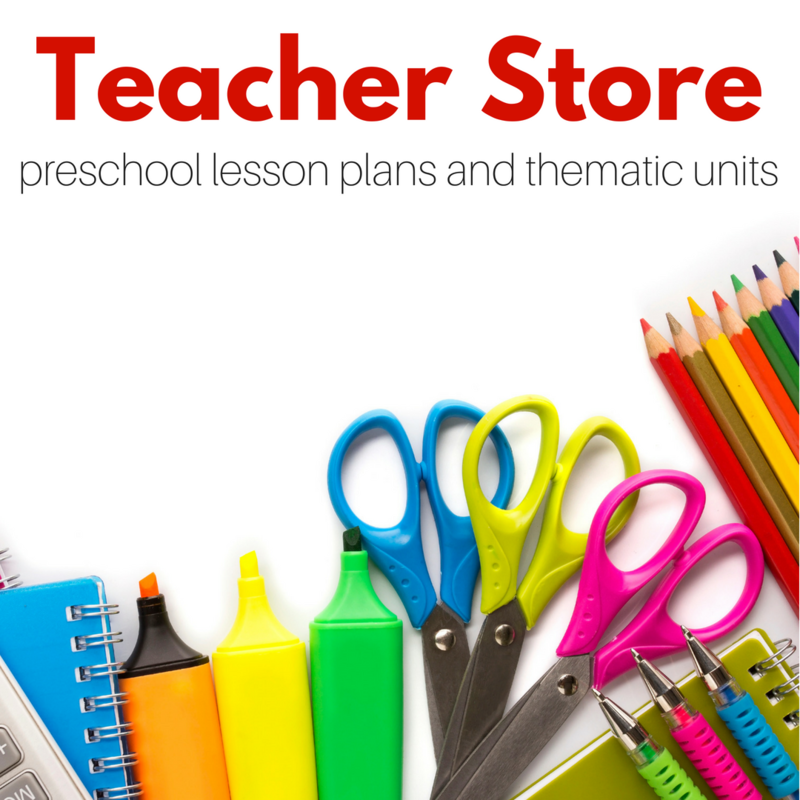 There are multiple themes to choose from and you can even bundle to save 20%! 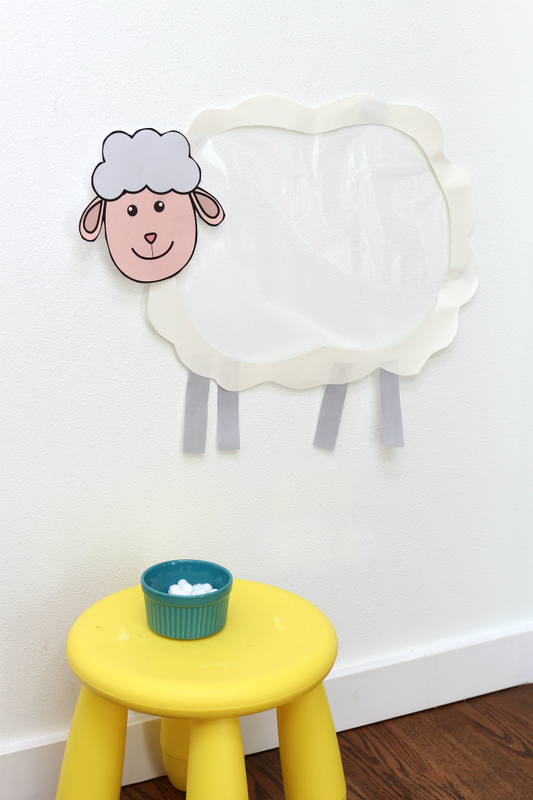 Here is how I made my updated version of this sticky sheep farm activity for preschool! 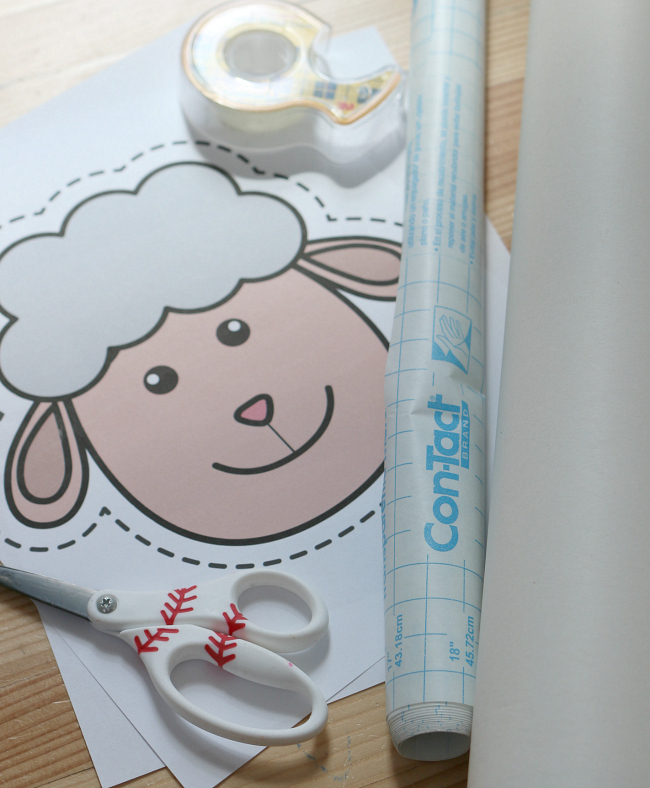 Gather your materials you will need a large piece of paper, contact paper, double stick tape, our sheep head and legs printable, and some scissors. 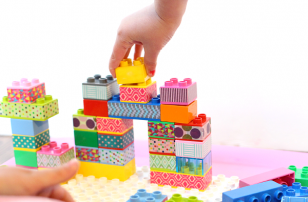 You will also need some painter’s tape and some pom poms or cotton balls. 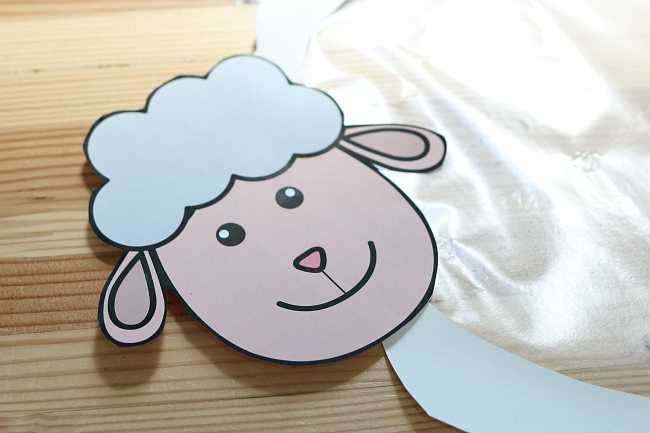 Start by cutting out the body of a sheep, just the fluffy part, in the paper. Using the body trace the shape on the contact paper and cut out. 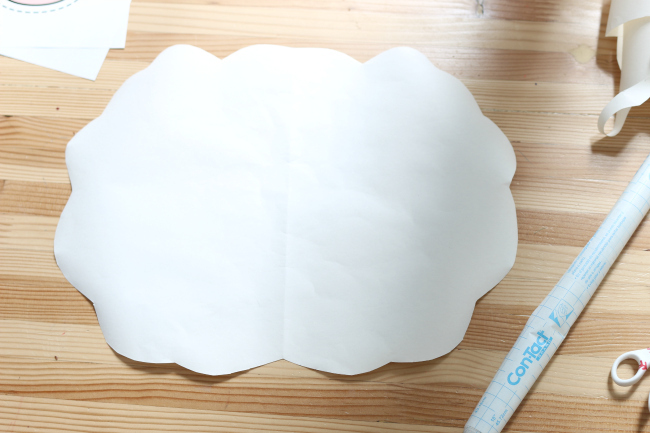 Cut the middle out of the paper shape. 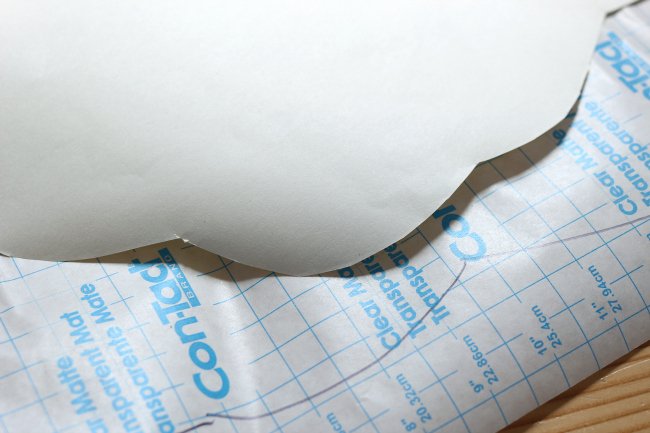 Peel the contact paper backing off and stick the paper outline on. Trim if there are any edges of the contact paper showing. 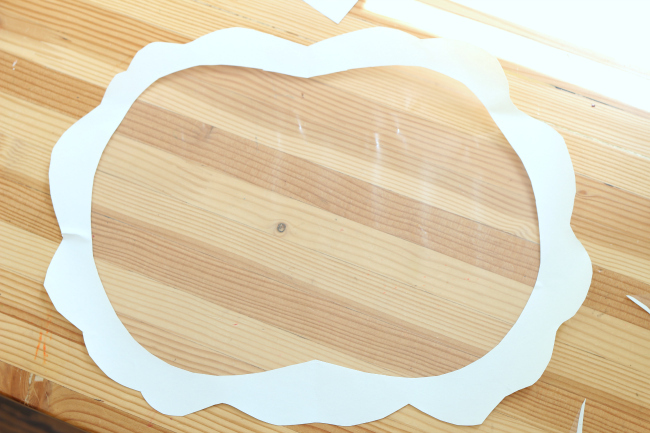 Cut the sheep head and legs out –> get the free printable here. Add to the body with double stick tape. 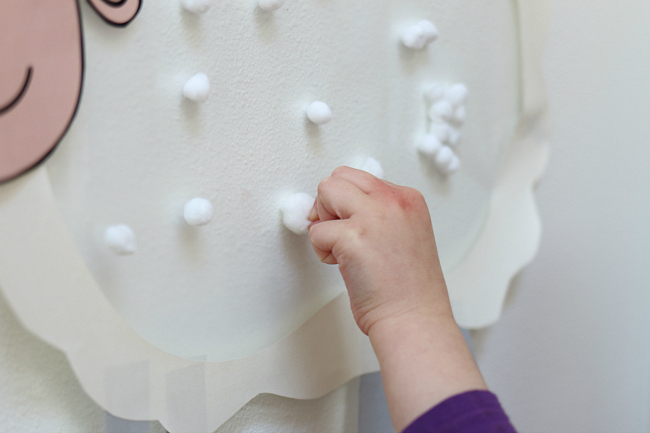 Pop on the wall with some painter’s tape and place some white pom poms in a bowl ready to be added to the sheep. 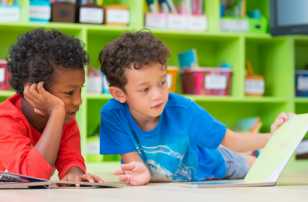 Need farm books to go along with your sheep? 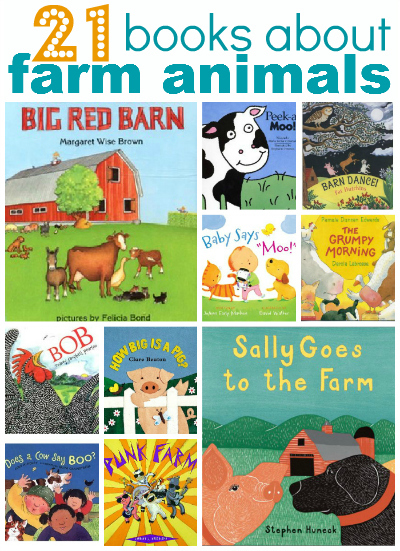 Here is a great list of Farm Books For Preschool. 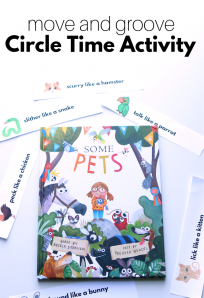 This activity is featured in our Harvest Farm thematic unit but there are 24 other wonderful farm themed activities for preschool too.